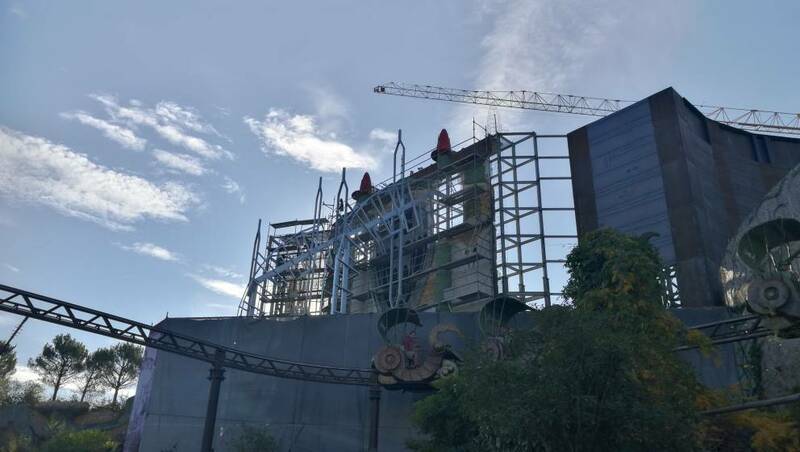 New view of the structure now in place from PhantaFriends.de. 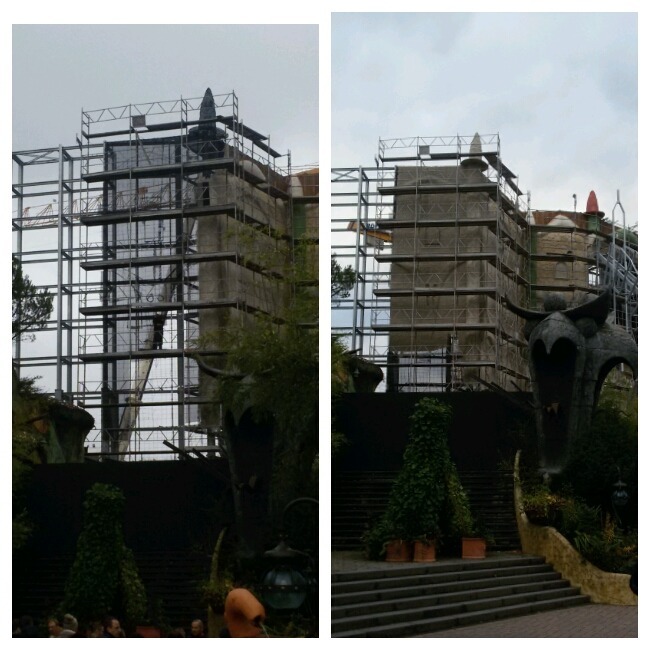 Also, I wonder if they'll give the existing walls (as seen in the photo shared by CSLKennyNI) a lick of paint too, so that it looks more consistent? Yeah I would hope they spruce the rest up so it doesn't stick out and overall looks as if it has always been a part of the Wuze Valley - which actually will feel like more of a valley with these walls. Last year they replaced and improved the houses around the lake/Wakobato, so hopefully this is all put of a larger Fantasy refresh/modernisation. Comparing the new theming elements/design to the old Wuze Town ones also just has highlighted for me how far the park has come in terms of high quality rockwork since then. Parts of the interior of Wuze Town just seem quite dated now, and the queueline for Winjas desperately needs refurbishing. 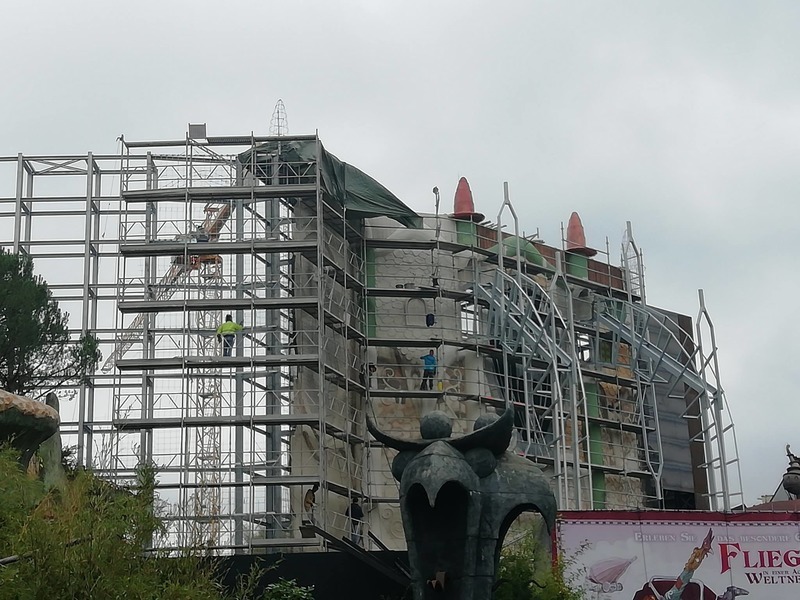 Obviously we've seen over the past few years how they have been getting Universal Rocks to come in and redo all the rockwork around Black Mamba/Africa so it is of the same standard as Chiapas/Klugheim. Presumably with little left to do in Africa, after the upcoming off season they should be done there, so if they continue I'd like to think Wuze Town (and Colorado Adventure) will be next. toofpikk, Steel & Story, Matt N and 1 other person like this. Interesting to see that they closed to view attracties the Black Tower at the right. Does somebody know if they are working on something just behind the wall they've just created? dirkjarczewski, hey--hey-ho and Yoris Kerkhoff like this. 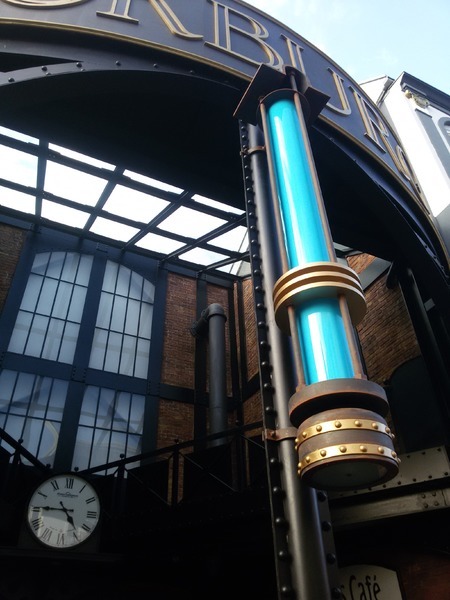 So randomly and out of nowhere this new theming element thing (...a blue light/tube or something?) has appeared on the front of Berlin street Rookburgh gateway. 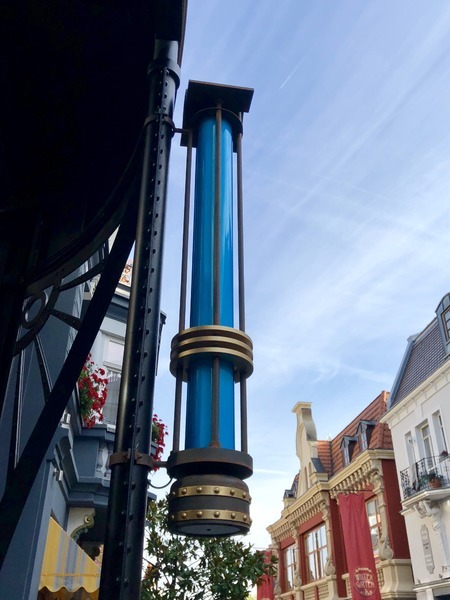 A taste of some more colourful theming/lights which might feature in Rookburgh perhaps? Work continues on the Wuze Walls. The next section is starting receive its details. And the neighbouring wall on the left has partially had the first layer of concrete sprayed - plus you can make out that this wall will also feature a large crest/shield/coat of arms/symbol. Source: Facebook group Achterbahn Fans Deutschland Dirk Hagen Jarczewski. mrrc, Steel & Story, peep and 6 others like this. Cheers for keeping us in the loop and finding this stuff, Kenny. Saves me fishing for snippets! toofpikk and CSLKennyNI like this. And here we have a picture of the site today, made 2 hours ago from hotel Matamba. It gives us a great view on the wall. Matt N, toofpikk, mrrc and 8 others like this. There is still a lot of wall to be built. I'm curious what it will look like. 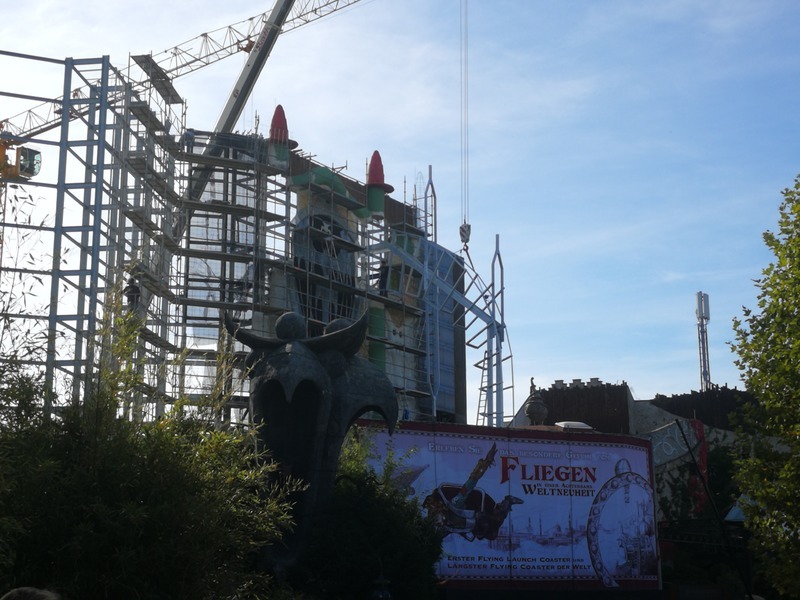 I doubt that all of it will get a Fantasy theming on the outside since some parts are quite close to Berlin. Well, I have that same thought. 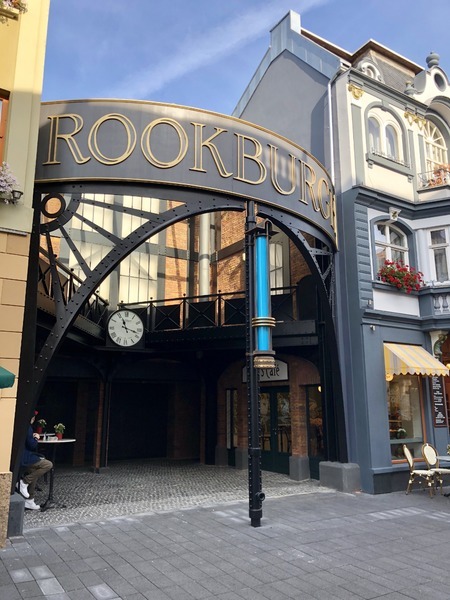 The wall which continues to Maus au Chocolat and the gate next to it, can't get Fantasy theming over the Berlin houses, so I guess it will be the standard Berlin theming or Rookburgh theming. A combination of both could be possible too, just because of the fact that Rookburgh is part of the Berlin area. 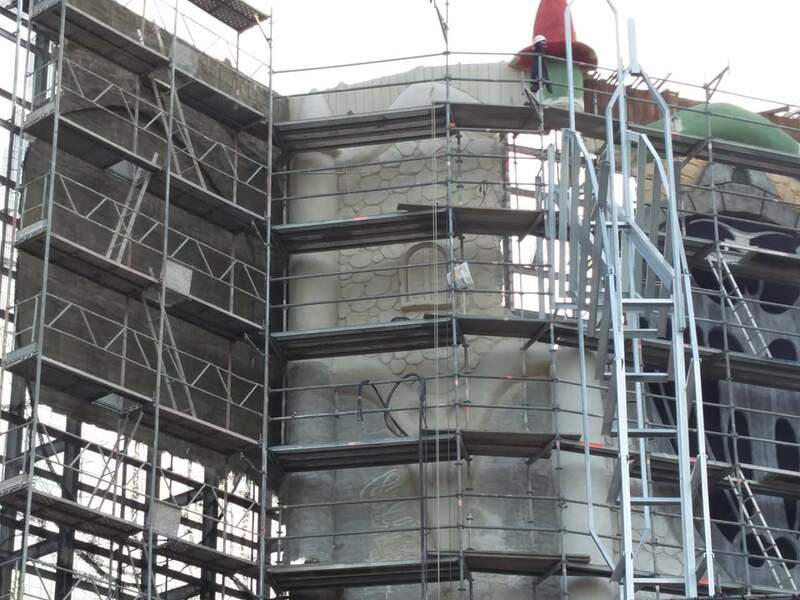 The wall will be given different theming depending on the direction it faces, that’s pretty obvious. Lofty and Ethan like this. Some more views of the blue thing from PhantaFriends. A wire! So it will definitely light up. Should look nice during Wintertraum, and if it features more of these lanterns, throughout the Rookburgh area at night. Steel & Story, hey--hey-ho, peep and 2 others like this. Why are we speculating so much about the wall? Woah that wall looks absolutely huge from Matamba! Interesting that you'll be able to see over the coaster to see it because the walls on the Berlin side aren't very tall. 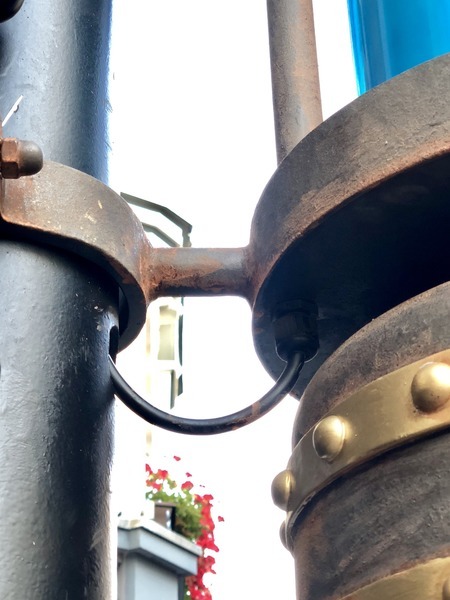 I love the look of that blue lamp thing too, hopefully they'll become a feature across Rookburgh. That got me thinking about that whole day-and-night-experience. It's actually quite easy to create the illusion of a nighttime city, considering that Rookburgh presumably will be getting a lot of shade thanks to the high sound-barriers, so with the use of cold blueish light, it might actually look like an industrial city in moonlight, even though it is broad daylight. 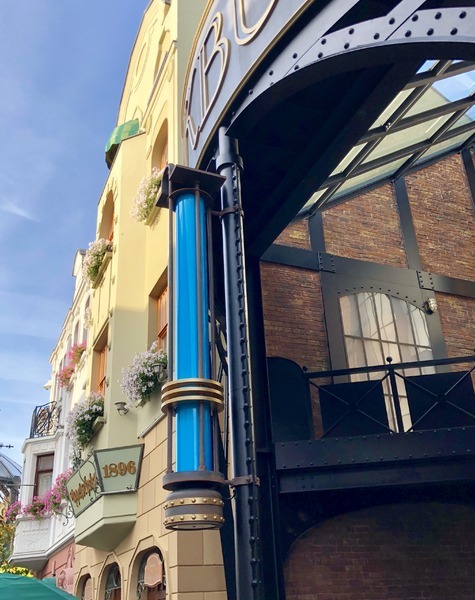 That would increase the Diagon Alley vibes even further, if you sneak through Rookburghs gates and all of sudden everything feels old, dark and heavy. Steel & Story and Robert.W like this. There is a rumour, that they will build a hotel in Rookburgh. So this could be the day and night thing. Perhaps with some night attractions for the hotel guests, like pubs and a cinema in Rookburgh and the Berlin street. Lofty and CSLKennyNI like this. I just don't see space for a hotel in the space that they've got, not in Rookburgh anyway. Steel & Story, JoshC., Lofty and 1 other person like this. This was yesterday, lot of workmen up there! mrrc, Yoris Kerkhoff and Matt N like this. Peet, Pear, Yoris Kerkhoff and 4 others like this. No blue light when the lamp is on. mrrc, NeoXIII, streetmagix and 5 others like this. View of the Wuze Wall as it looked on Monday. The section to the left of the arches is now finished and in the painting/final detailing stages. Below the image on the right shows the wall as it looked yesterday. On the left (closest wall) layers of concrete are starting to be applied to the first bit of the wall along the back of Maus au Chocolat and the corner turret. The pattern is continuing as this section seems to be more rocks, bird's face and a small window - just like the other sections inbetween the large crests/symbols. Won't be long now until they finish with the Fantasy side of the sound barriers. EDIT: A friend has sent this to me. 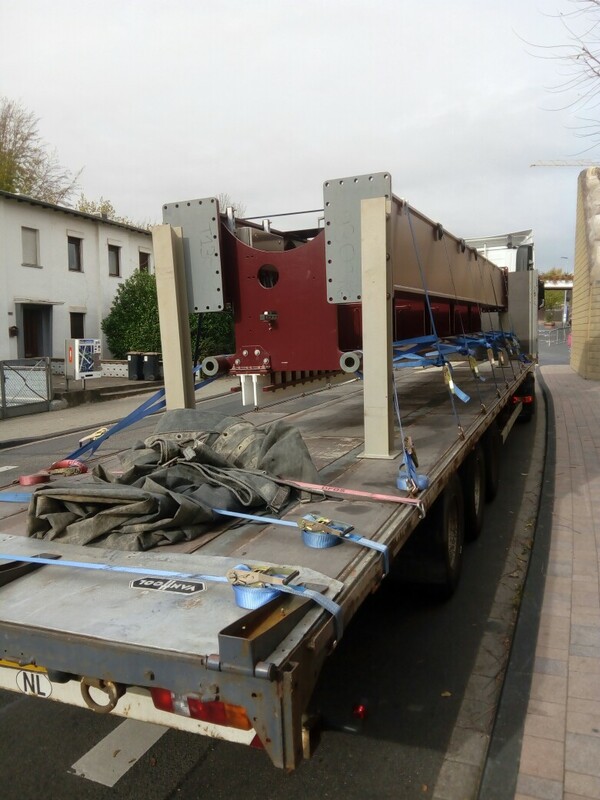 On Tuesday another straight section of launch track was delivered to the site. hey--hey-ho, Pear, Robert.W and 5 others like this. If there's one thing I don't like about the wall at the moment, it's that it's all the same height. I dunno, it all look a bit weird to me because it's so flat and uniform, maybe some height changes would have been nice. Though I guess we don't know what it'll look like finished yet.